Picture attribution: Lukas S. Photography, Lukas Seufert, with kind permission. In its third installment the small, but classy electronic music festival in Pleinfeld near Nuremberg, Germany has already become a hot item on the festival calendar. 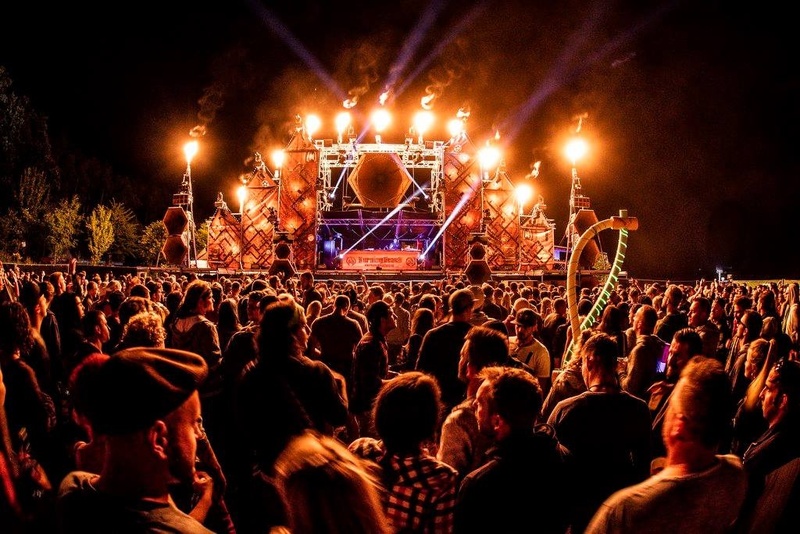 Last June about 5000 music lovers gathered to dance to the beats of headlining acts like techno veteran Sven Väth, Sascha Braemer, and Karotte in a beautiful beach setting with perfect sunshine. 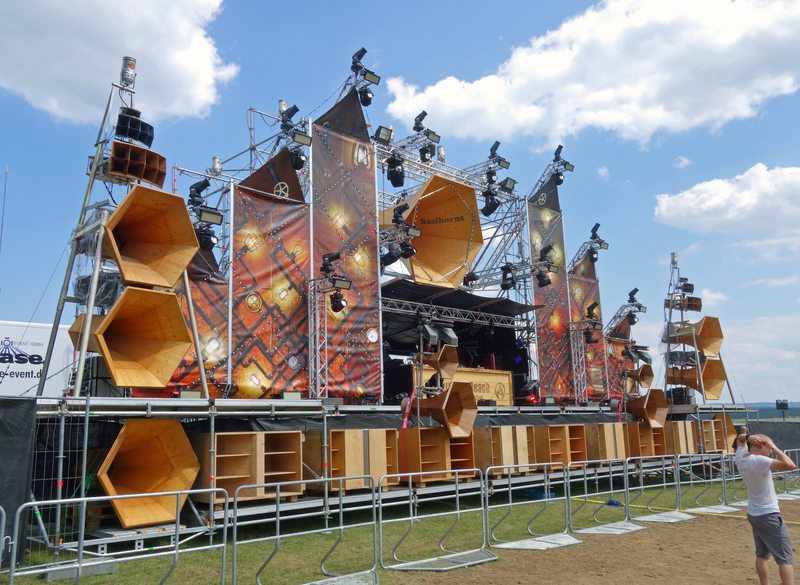 Just like the previous year the Eggenfeld horn speaker expert Andreas Plodek, founder of REALHORNS SOUNDSYSTEMS, was enlisted with planning and executing the sound reinforcement system. The self-imposed goal of utmost sound quality was applied to not only the speaker system itself, but also to the peripheral sound processing. When it came to the clocking, MUTEC products made the cut for a number of reasons, as Andreas Plodek explains: "Highest precision clocking is absolutely essential for a sweet and clear sound without digital harshness, as well as precise transient response, tight bass reproduction, and a three-dimensional spatial experience. All these requirements were achieved by the combination of the MUTEC REF 10 and MC‑3+ Smart Clock USB clocking products." The first of a total of eight 10 MHz referenced MC‑3+ Smart Clock USBs re-clocks the AES3 audio stream in the REALHORNS input section post the a/d conversion with a Cranesong HEDD and a Jünger Audio loudness processor. A second, also 10 MHz referenced, MC‑3+USB is configured as a Word Clock generator and distributor. Various other digital audio processors in the system received Word Clock signals at 48 kHz and 96 kHz from this unit. 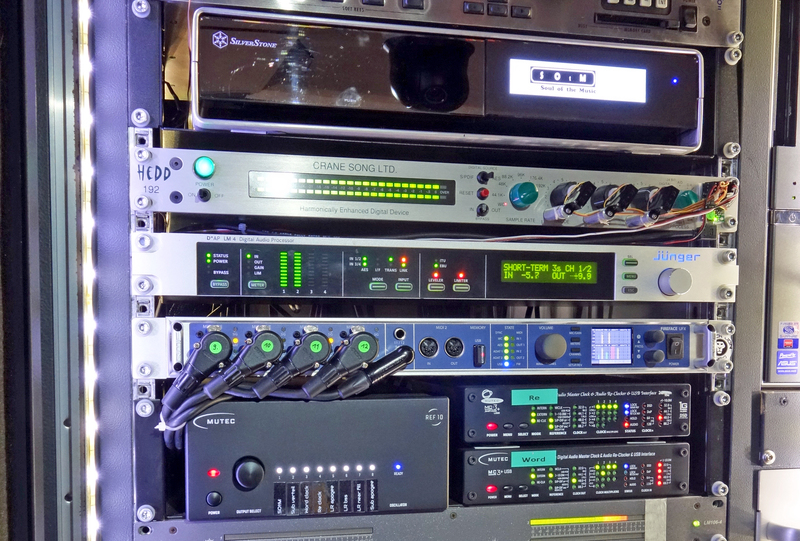 A custom-modified, externally Word Clock referenced Apogee Rosetta 800 a/d-d/a converter allows inserting analog processing of audio signals. The Apogee Rosetta and the 36 DSP channels of the complex horn system are re-clocked by six additional MUTEC MC‑3+ Smart Clock USBs. In both application cases - Word Clock generation and Re-Clocking - the MC‑3+USB units were externally referenced to the ultra-low noise 10 MHz clock signal of the REF 10 Reference Master Clock. Eight simultaneously available clock outputs at both 50 and 75 Ohms impedance allow using the REF 10 in combination with not just MUTEC products, but also 10 MHz compatible products by all other third-party manufacturers, such as SOtM Audio for example. In this case study all clock outputs of the REF 10 were in use to provide an unadulterated, pure clock signal to all the receivers in the system. This case study demonstrates the special flexibility of MUTEC’s MC‑3+ Smart Clock USB, which uniquely combines MUTEC’s proprietary REVIVE Re-Clocking process with the highest-precision 1G-Clock technology known from the MC-3+ Smart Clock. The latter has made a name for itself among world-renowned mastering engineers such as Maor Appelbaum and Dave Kutch (The Mastering Palace, New York). Andreas Plodek illustrates the sonic impact of the clocking improvements as follows: "Every Word Clock, internally or externally, or every 10 MHz clock referencing the Word Clock, sounds different depending on the system configuration. Even the slightest differences in phase noise performance between the clocks somehow cause audible changes. Re-Clocking of digital audio streams and 10 MHz clock references are super interesting topics for me that also see a lot of interest online."